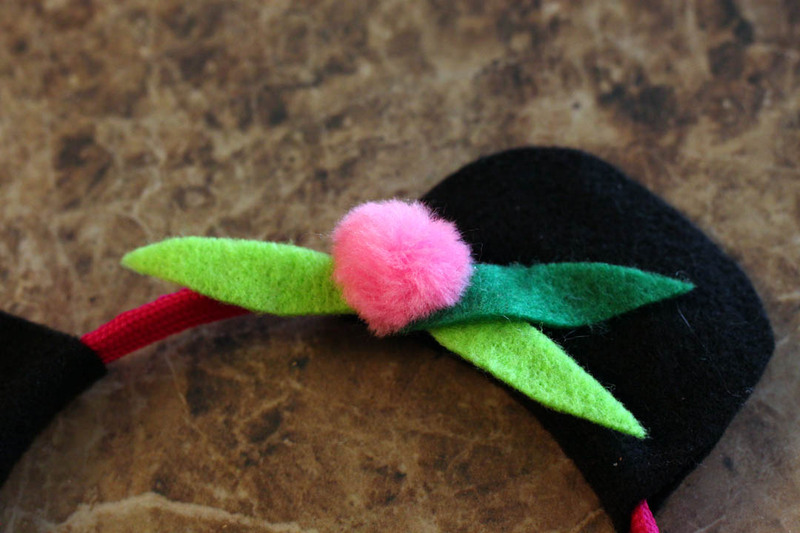 Make these cute accessories for the little ladies in your life, or yourself–they also make great gifts, or party favors. To begin, you may want to cut yourself a paper pattern for your ears, if you’re making more than one set, and you want the ears to be consistent. 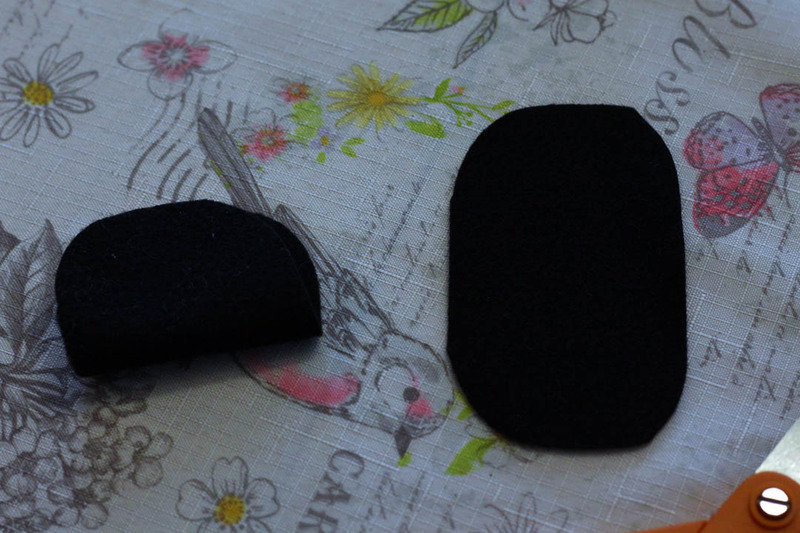 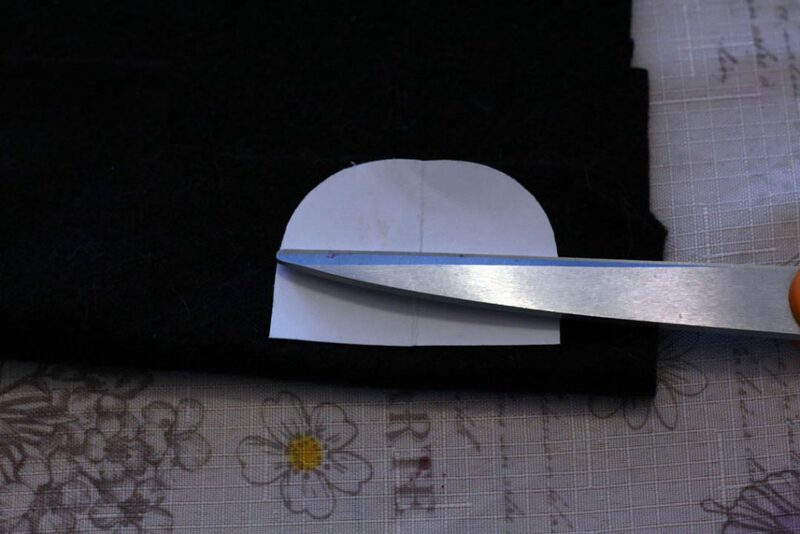 To cut the ears, fold the felt, and place the pattern so the flat edge is along the fold. Cut two ears for each set of headbands. 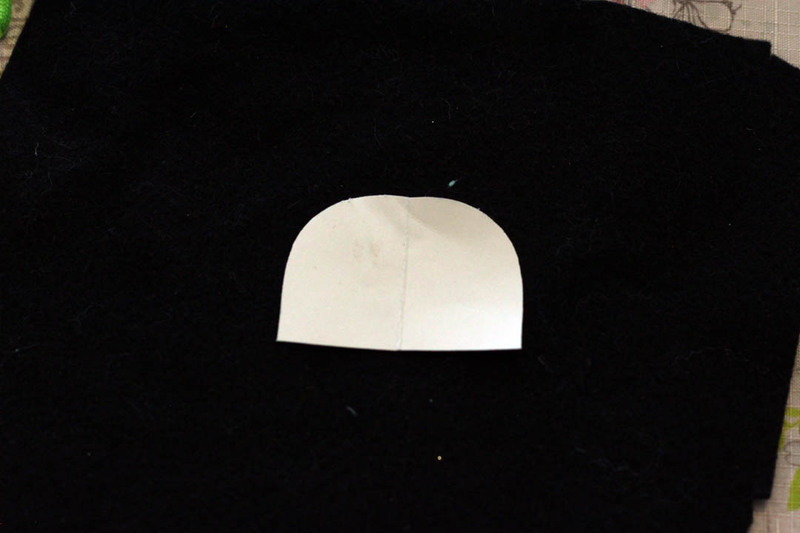 When you open up the ears, you should have a sort of rounded rectangle, or oval shape. 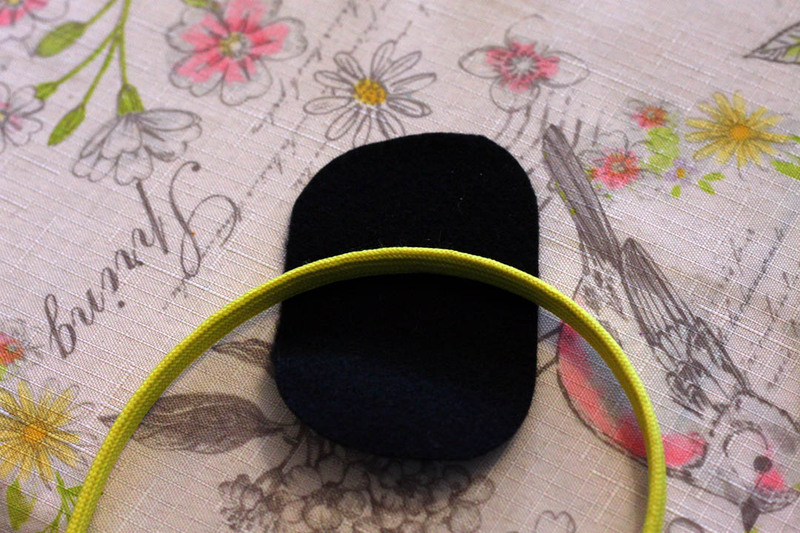 Open up the ears, and lay so the headband is across the middle of the felt. 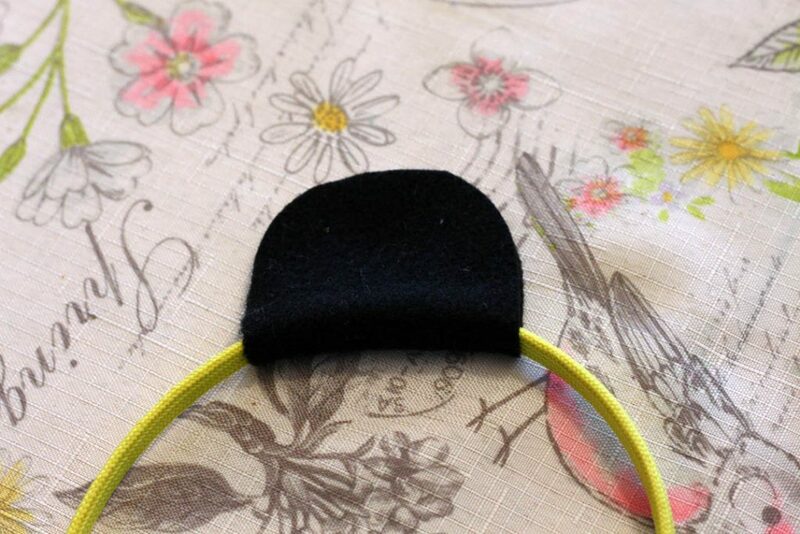 Apply hot glue to the top and bottom of the band, and on the felt, and fold the ear around the headband, really squishing the sides together to press them onto the band. 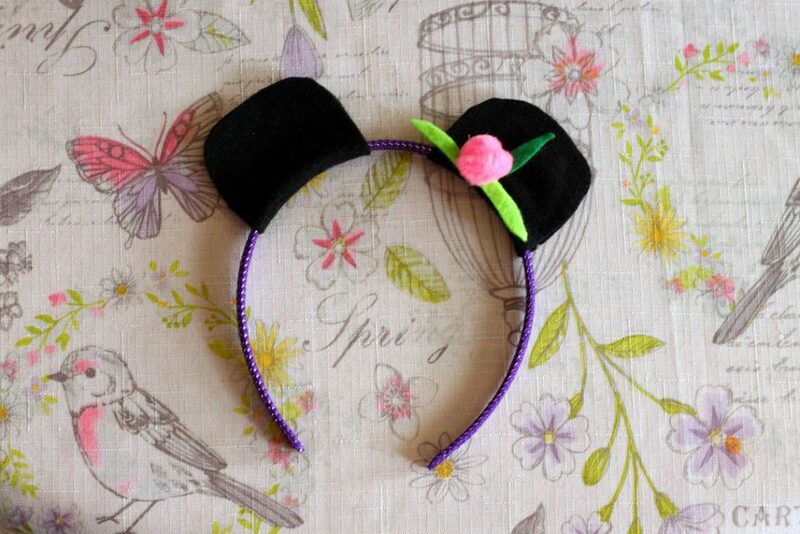 Repeat with the second ear. 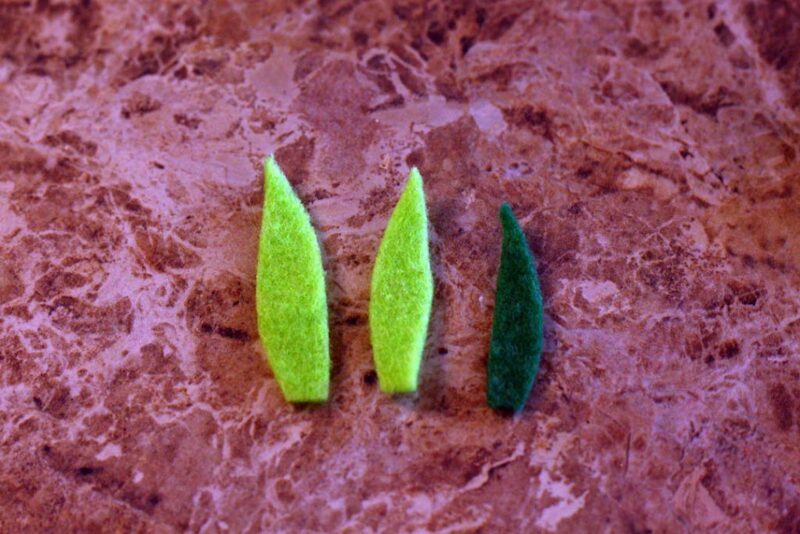 For the decorations, I was going for sort of bamboo looking leaves, so I cut long leaf shapes from my green. 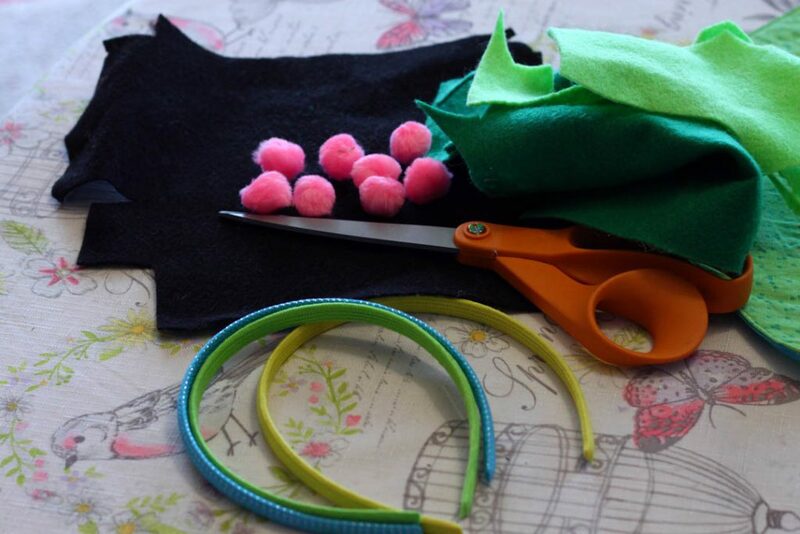 Glue your leaves to the band, and then glue on a pom pom “flower” over the ends of the leaves. 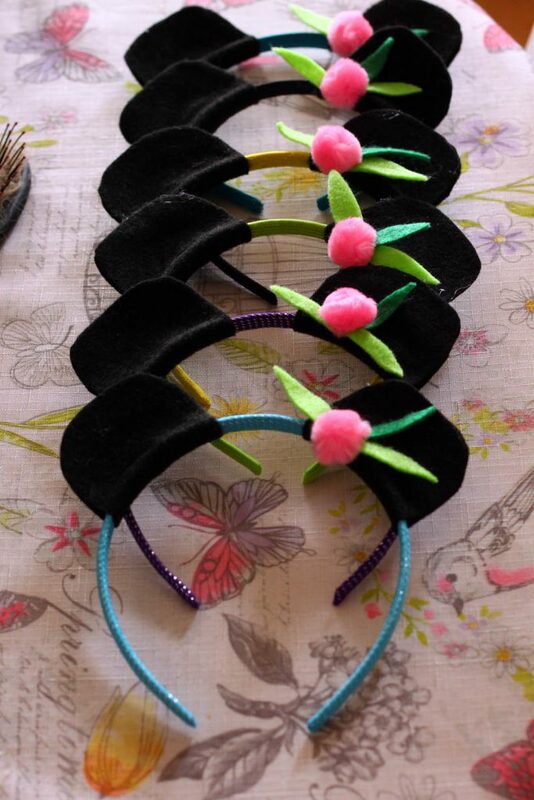 I made a whole bunch of headbands to give as favors for my daughter’s panda bear themed birthday party is less than 20 minutes. They’re fun to make, and cute to wear!